Gareth Peirce composed this tribute to Gerry Conlon and sent it to The Guardian. Three weeks ago Gerry Conlon reluctantly admitted himself into BelfastRoyal Victoria Hospital, fearing pneumonia and that treatment might temporarily ground him. Instead, he was told he had incurable lung cancer and little time left to live. He willed himself to prolong his survival. For the first time he had found peace, with someone he had now met for a second time, the first briefly in Belfast in 1989 when he burst out of the doors of the Old Bailey. Without a word needing to be said, Gerry and her daughter realised immediately that he was her father. Overwhelming happiness came when he could for the first time respond – he had come home, estranged until then from his mother Sarah Conlon; he cared for her in the year before she was to die. Until then he had inhabited a world that was a form of hell. Since 1974 all he had dreamt of was freedom and yet when it came, the poison of those 15 years had permeated his whole being. When he spoke with Guantanamo survivors, he found practices of the 21st century mirrored those of the 1970s; he too had been hooded, shackled and subjected to rendition – from his home in the North of Ireland to a police station in Surrey - threatened, brutalised and tortured until he confessed to the IRA bombings of pubs in the garrison towns of Guildford and Woolwich. Yet the claim that four innocent and improbable young people were responsible should have been immediately derailed by the cast iron alibis of two. Instead, the intimidation of alibi witnesses, or in the case of Gerry, the burial of a statement that proved he could not have been anywhere but at a Kilburn hostel for young Irish men, overcame that obstacle. Even more inconveniently, the IRA unit that had carried out some 60 other attacks to which Guildford and Woolwich were identical, was captured. Some two years later, in 1976, the Court of Appeal heard first hand the testimony of the IRA unit – they were responsible and no one else. In a determined insistence that it was for judges and not a new jury to decide upon new evidence, the four appellants were sent back to prison for another 13 years. In 1980, Gerry’s father Giuseppe died in an English prison. He had travelled from Belfast to rescue his son, only to be charged together with Gerry’s aunt, uncle, cousins and neighbours, with possession of explosives. This time it was the turn of the scientists, who asserted falsely that the hands of each tested positive for nitro glycerine. By the time of Gerry’s release, the story of the horror that visited this family was known to every person in Ireland. It represented in one narrative the ordeal of the nationalist population of the north, and the history over centuries of the whole of the island of Ireland. 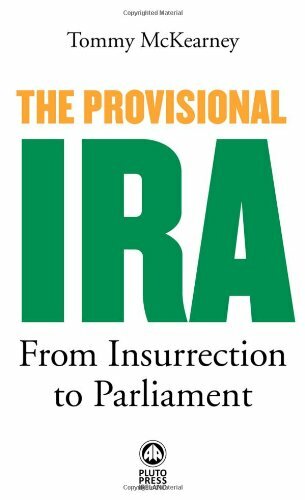 In no way equipped with self discipline or even physical stamina or fortified with any political rationale for his fate, he entered the hell of the English prisons of the 1970s when to be Irish and even more, IRA, was to be in danger. Year after year of solitary confinement, punishment imposed for endlessly angrily asserting his innocence, movement without notice from prison to prison, often just when his mother was using her one week’s holiday to visit her husband and her son at different ends of England, humiliation, degradation and fear nevertheless fuelled an insistence that he could and would take charge of his own fate. He clamoured and shouted and wrote and in the later years telephoned and besieged the great and the good until gradually there was movement, by the slowest of degrees. The release when it came, came with the sudden falling of the citadel; all of the evidence had been fabricated. Everyone had been wrong and he had been right. The euphoria of release almost immediately evaporated in the pandemonium of public attention; the longed for reunion was with a family itself too damaged to accommodate the ways in which he was haunted by demons. There was nevertheless an acute, intelligent, engaging and vividly articulate raw voice which made the comprehending of injustice an elementary exercise. But for many years he fell into an abyss from which he could not climb out, hiding like a recluse in a tiny apartment in Plymouth, knowing no one, physically and mentally broken. Unable to find joy, he resorted to drugs, attempting to experience what was otherwise inaccessible. Finally, a psychologist in Plymouth and a psychiatrist in Belfast began to identify if not to fix, some of the broken pieces; Gerry’s persistent reactivation of trauma was as bad as any observed throughout the conflict in the north of Ireland; he exhibited extraordinary recall, remembering the pattern of the policeman’s tie in the Surrey police station, the tick of the prosecutor’s face, the horror of his father’s last days. Every night was a torment. But struggling through this, this brave and endearing human being made an enormous mark. He repeatedly travelled in Australia to challenge injustices there, most emphatically those to the indigenous Australian population; he spoke at every prestigious university in the US about innocent prisoners; he proffered himself as the best evidence of all why the death penalty should be abolished, he visited the family of Shaker Aamer, the last British resident in Guantanamo and campaigned endlessly for his release, berating Irish Americans for their instinctive support for him when he was wrongly detained and their failure to do the same in relation to a new suspect community, the Muslims. His death has shocked a swathe of peoples. His partner, his daughter, and his sisters knew already the enormity of the battle he fought and the importance of his victory. In the three weeks he knew his life was coming to an end, he and they came understand too the volume of affection for him across the world.